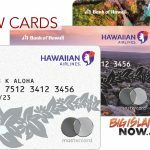 HFS Federal Credit Union awarded seven scholarships, for a total of $17,500, to Big Island graduating high school seniors pursuing their goals of higher education. In the past seven years, the HFS Scholarship Program has awarded over $85,000 in scholarships—all to Big Island high school students with dreams of attending college and pursuing their career goals. HFS Federal Credit Union 2018 Scholarship Recipients. Chantel Balberde (Waiakea High School), Devynie Coloma (Waiākea High School), Isabel Fukushima (Hilo High School), Patrick Jonah Hurney (Hawai‘i Preparatory Academy), Kepola Ishikawa (Kamehameha Schools Hawai‘i), Malakai Lurker (Kea‘au High School), and Lia Wengler (Kamehameha Schools Hawai‘i). Courtesy photo. The scholarships were awarded to students in recognition of their academic excellence, career goals and community involvement. 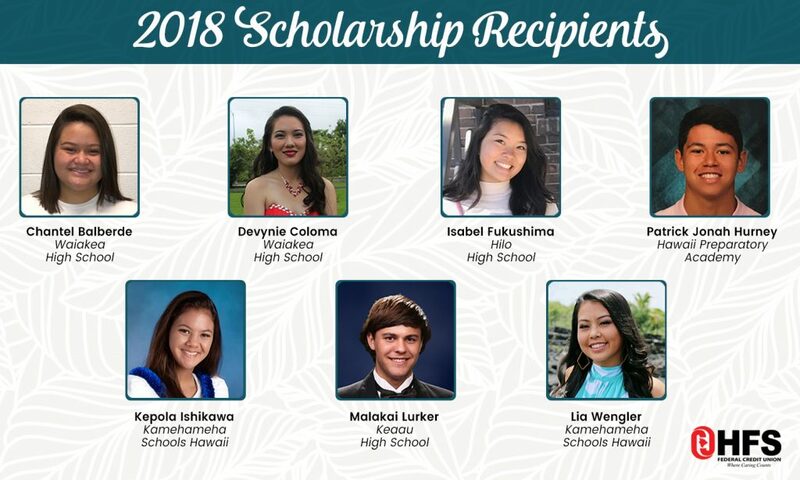 The credit union would like to congratulate the following students on each receiving a 2018 HFS Scholarship in the amount of $2,500: Chantel Balberde (Waiakea High School), Devynie Coloma (Waiākea High School), Isabel Fukushima (Hilo High School), Patrick Jonah Hurney (Hawai‘i Preparatory Academy), Kepola Ishikawa (Kamehameha Schools Hawai‘i), Malakai Lurker (Kea‘au High School), and Lia Wengler (Kamehameha Schools Hawai‘i). The HFS Scholarship Program releases applications at the beginning of each year. Graduating high school seniors pursuing a two or four year degree are encouraged to apply. For more information on the scholarship program, contact the Credit Union at (808) 930-1400 for more details. HFS Federal Credit Union is proud to support the educational goals of the students in our community and wishes these students, and all of the 2018 Big Island graduates, the best of luck in their future endeavors.